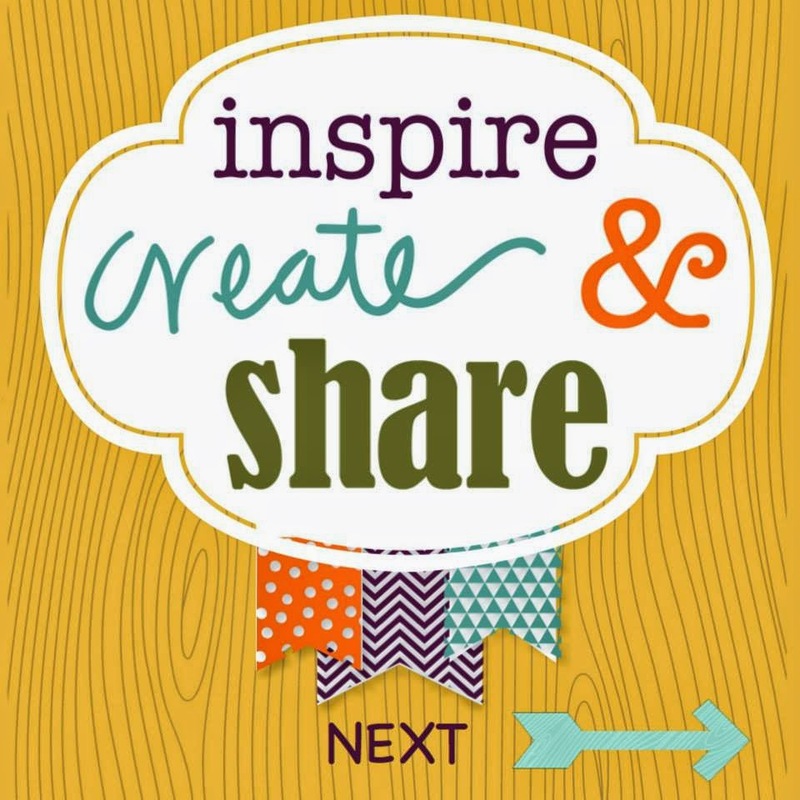 Inspire, Create, Share Blog Hop! 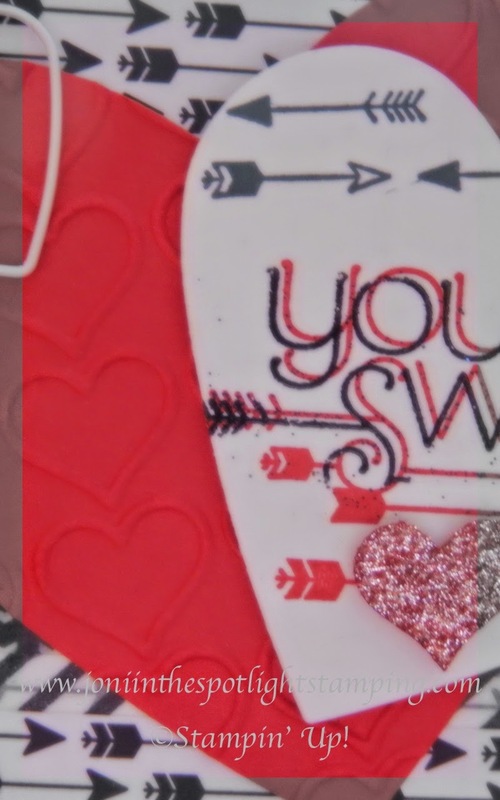 This month we are creating Valentine's treats for you. Now I know it's a bit early, but it gives you time to use them all for inspiration! You need time to make that special something for that special someone!!! So here's my Valentine gift to you!! lol! It looks blurry but it's not!! I stamped it that way!!! I've used almost all items from the new Occasions Catalog!! If you haven't seen it yet, you MUST!!! It's so amazing!!! These products are from their Valentines offerings. The DSP used is called Stacked with Love. It has some really great images that can be used for well beyond Valentine's Day. There is even some Stacked with Love Washi Tape to go with it! Of course, I'm sure you know that's the beauty of Stamping' Up!-everything coordinates!!! The stamp set is You Plus Me. It has several great options for Valentines, love, maybe wedding or anniversary. 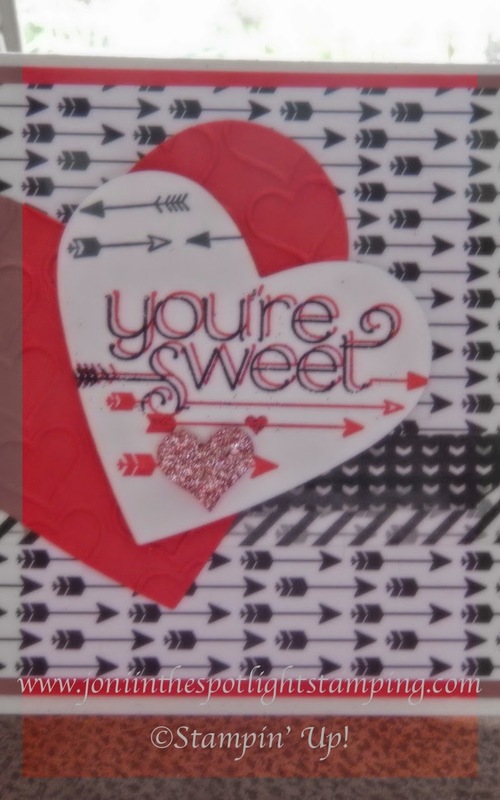 Happy Hearts Embossing Folder! See it's a love fest on our blog hop this month!!! So now, use the image below to hop on over to Olivia's blog! Then be sure to keep going. Don't forget to leave a message on each! We love to hear from you!!!! What a cute card. I love the stamping offset look. I think I will be getting that stamp set for sure. Beautiful projects! Love the DSP, and I really gotta get the butterflies thinlits. Joni this is too cute! Love your colors and creativity! Good use of lots of cool products! Thanks for hopping with us this month! I like the look of your card! Joni, this is wayyyyyy cute! I really like this card. Love the layout and colors. Love how you used this set! Cute card! Love that shadow stamping! !